How To Maximize Website Trust Rank? Home > SEO > How To Maximize Website Trust Rank? If you are able to increase your website trust rank you will get higher traffic from search engine result pages. Major search engines use TrustRank to verify users’ faith and activities on a website. Website TrustRank is numerical value gives by search engines assigned on website/ blog contents and other several places into your website. So, it is important to develop your website’s trust rank. SEE ALSO: Why Targeted Website Traffic Is Beneficial? Here we are going to discuss about some recommendations to get better website TrustRank. 1. First, create backlinks from great sites and blogs. Backlinks is also called incoming links that directly pointing to your website. Search engine spiders consider the quality backlinks and decide the trust rank. 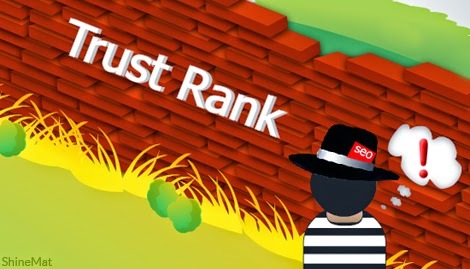 That’s not mean lots of backlinks can improve your trust rank but it may give you penalize from search engines. However a single quality backlink can increase your trust rank instead of creating lots of obscure backlinks. Quality and high trusted incoming link source is like .gov, .edu or any highly ranked websites. So, generate your quality backlinks to boost up your both SEO rank and TrustRank. 2. If possible buy old domain names instead of new ones. Search engine robots reduce the SEO TrustRank of new domains. If you have registered a domain few years ago but not used yet you can also use it to make your Trust Rank stronger. READ ALSO: Why Should Buy A Custom Domain For Blogger Blog? 3. It is important to use SSL (Secured Socket Layer) certificate if your website accept users personal identity or information such as: email id, credit card number, phone number or social profile. If you are not expert on this we recommended to contact with your web hosting and development company to setup SSL certificate system. Remember, everyone love strong security. 4. To make your website’s trust rank healthy you must include About us, Contact us page in your company website and even if its your personal blog. The following pages should include your company details, history, virtual communication process and if possible add your physical office address. This will strong your trust rank not only for search engines but also for your customers and readers. ALSO READ: What Types Of Company Information Should Share On Social Networks? Need to say something? Share with us using comment form below. Have fun! Allah Hafez.